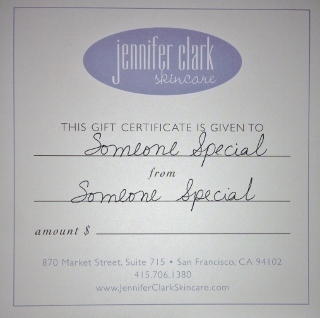 Gift Certificates are available for any amount and are applicable to any of our salon services and products. Please call or email for more information. Jennifer Clark Skincare accepts Visa, MasterCard, Discovery, personal checks, and cash for payment of gift certificates and any of our services and products.